Hey y’all! Everything continues to melt around me (this is fine, says the dog with the coffee cup. Hey! Verisimilitude! I do have a dog and a cup of coffee, so….) but USC Price does do cool things, too, and one of them is a series of podcasts under the book club banner! 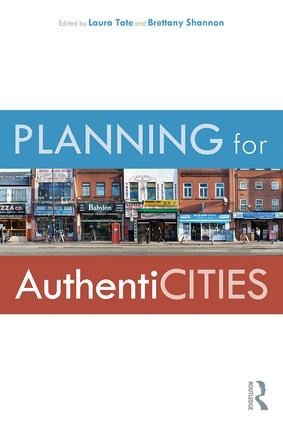 We are podcasting interviews with USC Price book writers The first one is with an edited volume from the brilliant Laura Tate and Brittany Shannon called Planning for AuthentiCITIES. There are 18 chapters and 16 authors involved in this effort, and it’s terrific. It’s got everything from how play and comics in the city helps contribute to the feelings of attachment and authenticity along with deeply theoretical chapters that hit the ball out of the park. Our own Maria Francesca Piazzoni submitted a brilliant—and very readable—theoretical exploration. I love the book—I think it’s terrific—and I think it’s a real contribution to community development as well as planning/urban theory. Of course, I’m crazy about one of the editors as all USC students are brilliant with extra brilliance on top, but I don’t think my affection is all bias. You can listen to my discussion with the two editors here!